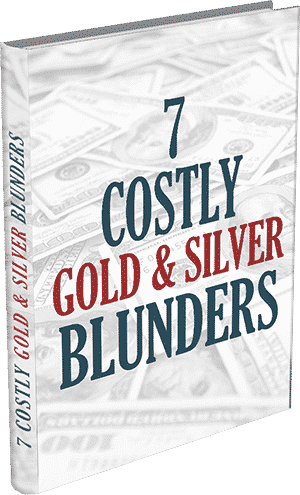 A wide variety of silver IRA investments were first authorized by the Tax Payer Relief Act of 1997, and since then millions of Americans have transferred their retirement accounts over to one of the government-approved custodians of precious metals. Investors with qualified self-directed IRAs (either Roth, SEP or Traditional), 401(k) plans, 403(b) plans, 457(b) accounts and TSP plans can use funds from those accounts to purchase physical silver bars and coins. 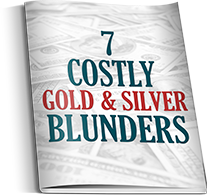 Although the U.S. government has some restrictions on silver IRAs, it is relatively easy for honest Americans to privately buy into the silver market using money from their retirement accounts. Why would someone want to buy silver if they can afford gold? It turns out there are a number of reasons that could motivate investors to choose silver over, or in tandem with, gold. As a precious metal, silver’s value is protected as only a very small amount of silver is mined each year. In fact, there is actually more gold above-ground than there is silver because once silver gets used for industrial or scientific purposes, it is gone and can never be recovered. The industrial uses of silver are many. It is used in automobiles, jewelry, appliances and in the medical field. As the world’s population increases and advances in technology and the understanding of silver are made, it is likely that silver will be used by industrialists more than ever before. Silver investing is growing globally in terms of popularity. This is due to devaluation of various currencies, including the dollar. Many people who cannot afford gold choose to buy silver as their hedge against a falling dollar, because everyone needs some sort of protection. As investor demand increases the silver price is likely to follow. Some people are worried that paper currencies in general, and specifically the U.S. dollar, could crash completely, leaving us unable to buy goods and services with cash or credit cards. Such a drastic national emergency could cause riots, looting or even total anarchy. Owning some silver coins, according to some, could be a good way to secure the survival of you and yours if such a tragedy occurs. Which Type of Silver is Best for Me? The U.S. government allows a wide variety of silver products to be placed within retirement accounts. Pure silver bullion bars are available in 1, 10, 100 and 1000 ounce versions. If you select bullion bars be sure to choose bars manufactured by reputable brands such as Johnson-Matthey or Engelhard, although any COMEX-approved silver bullion bars with a purity of .995 or higher is acceptable. Silver bullion bars are recommended for high-volume, short-term silver investing. Silver bullion rounds are also acceptable, and they are available in one-ounce versions from companies like A-MARK, the Royal Canadian Mint and Ohio Precious Metals. Silver rounds cost a little more than bullion bars, but are advisable if you plan to take delivery of your metals soon after the purchase is made, because they could be useful to have on hand in the dollar does disappear. IRS regulations state that any 24-karat silver coin that comes from a reputable source can be used for silver IRA investing. This includes silver Canadian Maple Leaf coins, silver Austrian Philharmonics, silver Mexican Libertads and Australian silver Kookaburra coins, as well as the U.S. Mint-produced American Eagles and America the Beautiful silver coins. Some people prefer these coins because they have face values, but they cost much more than silver rounds or bars yet contain exactly the same amount of pure silver. 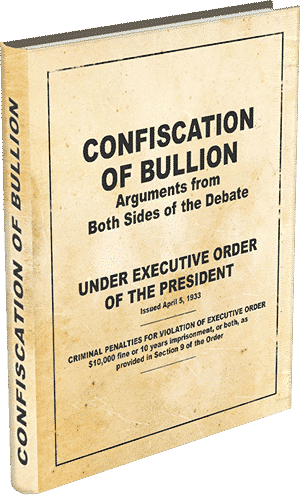 It could take awhile to break even on the aforementioned bullion coins, so many brokers recommend sticking with bars or rounds if bullion is the chosen investment vehicle. American Eagle Proof silver coins are the most popular numismatic coin produced by the U.S. Mint. 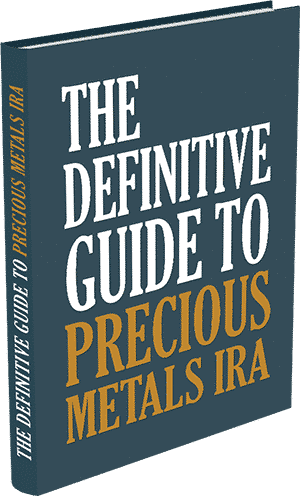 They cost much more than any other IRA-permissible item because they are produced in limited quantities and could be classified as exempt if our government decides to confiscate precious metals and/or retirement account funds. Proof silver Eagle coins are only, and especially, recommended for long-term (14 months or more) silver investors because they have a higher buy-in cost yet tend to outpace silver bullion investments after the break-even point has been reached. Dealers who try to push pre-1965 silver coins, or other coins that are less than .995 pure silver, should not be trusted. These items are not eligible for IRA placement so the dealer is either unknowledgeable or has something up his or her sleeve. Either way, this is your retirement money and it should not be trusted with such individuals. Once you have determined that your account is eligible for a rollover (some active employer-sponsored plans do not qualify) you must decide which custodian to use for storage of your metals and management of your account. There are many custodians to choose from, but very few are reputable. The Certified Gold Exchange can work with Equity Institutional (formerly Sterling Trust) or SDIRA Services. Our clients’ feedback, solicited after each transaction, has told us that Equity and SDIRA are the preferable custodians due to the ease of liquidation, fee structure and customer service capabilities. The Certified Gold Exchange has a team of non-commissioned IRA specialists whose sole responsibility is to help you complete the transfer paperwork accurately and efficiently. Once you submit the paperwork and ask your current custodian to transfer the amount of your choosing into cash to prepare for a transfer, it is simply a matter of receiving notification from the new custodian that your account has been set up and funded. Your personal IRA expert will contact you once funding is available, and you will direct us on which metals you would like to buy. Your pricing will be locked in only when you are ready, and you will receive a tracking number for your package(s). We will send a literal box of silver, earmarked for your account, to the official IRA depository in Wilmington, Delaware. You will receive quarterly statements concerning the amount of silver stored and its approximate melt value. You can buy, sell or trade your silver at any time, and you can even take delivery of your silver if you so desire. To get started, call the Certified Gold Exchange directly at 1-800-300-0715 and ask for the IRA Department. One of our non-commissioned retirement account experts will guide you gently through the process and make sure you have satisfactory answers to all of your questions. 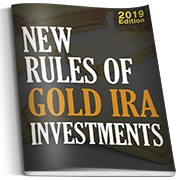 If you would like some more information of retirement accounts backed by precious metals, ask your adviser for a free IRA Starter Kit, or request digital and/or hard copies of the information below.